one loan at a time. Pioneer Finance is a direct private lender that helps investors get financing for their next project. Over 50 years of collective experience has awarded Pioneer with the right combination of industry knowledge and financial strength to help investors get the funding they need. We offer a variety of loan products and flexible loan terms to fit all your capital needs, no matter how big or complex. Whether you are refinancing an existing asset or purchasing a new one, Pioneer can help you capitalize on your business opportunity. Unlike traditional banks, we do not solely rely on credits scores and financial history. Instead, we invest in people and their ideas. With loan closings as quickly as 48 hours, Pioneer offers competitive services and customized solutions for clients looking to move quickly. A loan to finance the purchase of a new business. Secured by the furniture, fixtures, equipment, inventory and goodwill associated with the purchased business. Get a commercial real estate loan for your business. Acquire or refinance a commercial real estate property ranging from c-stores and gas stations to hotels/other assets. Finance the construction of a new commercial or investment property. Funds are advanced incrementally during construction as work progresses. A short term loan used to acquire an asset quickly while permanent financing is secured. Once a conventional loan is obtained, the bridge loan can be paid off. A loan to facilitate the remodel or rehabilitation of an existing asset. This can also be combined with a secured business loan or commercial real estate loan. 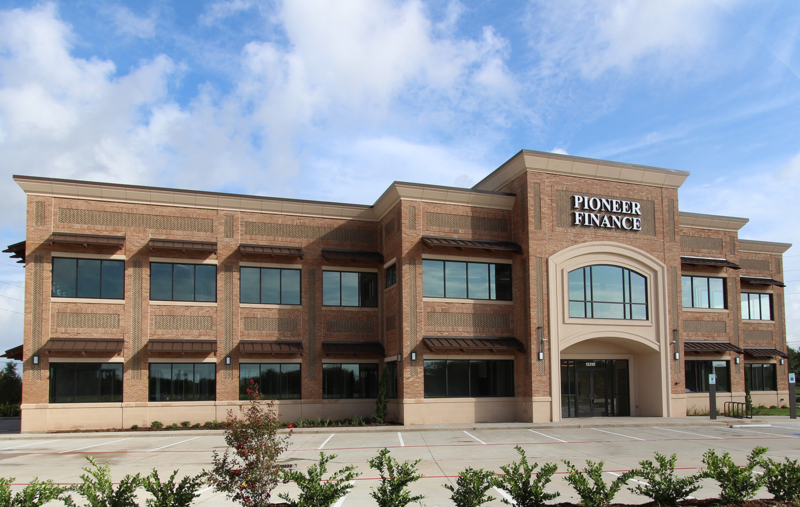 Pioneer Finance has the financial strength and business knowledge to partake in a variety of lending transactions outside the scope of a conventional lender. The application process is simple to complete. Apply today and hear back from us within 24 hours. 1. Apply Now using the online application. 3. Use the form to the right to contact us and we will reach out to you as soon as possible. Our goal at Pioneer Finance is to provide you with smart solutions for all your financing needs. Contact us today to learn how we can help you grow.